Fulcrum is one of Thrive Networking’s most loyal members. 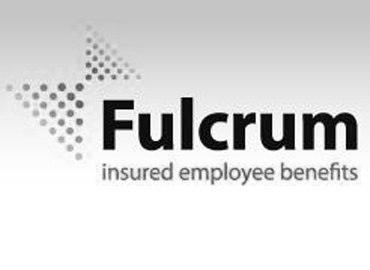 Established in 2007 by Malcolm Brebner, Fulcrum deliver a niche service as specialist brokers in employee benefits. Through their membership to Thrive Networking, Fulcrum have significantly grown their business network. Fulcrum specialise in insured employee benefits across a range of sectors including construction, legal services and manufacturing. With Thrive Networking, Malcolm and his team reap the benefits of strategic and effective networking with professionals: ‘We’re a niche business with a big target audience: Thrive are a good vehicle for exploring these opportunities,’ Malcolm says. With Thrive Networking specialising in B2B communications, Fulcrum found it easy to build a network and find those corporate customers; the right people in the right places. ‘Thrive Networking are great for medium sized professional services and consultancies who want to meet the decision makers and strong influencers in medium to large companies, and spread their relationship with other members,’ Malcolm explains. Malcolm began his career in medical insurance in his home city of Auckland, NZ. He emigrated to Scotland in 1991 where he worked in the same sector for twenty years before setting up his own company. Ten years on, Fulcrum is a successful business with a strong client list. Malcolm enjoys his working life, and with 30 years of professional experience in the industry, he has a strong selling point to new customers he meets through Thrive.